..in this article, I will summarise the key elements of the modern science of evolution, and the reasons why the evidence in its favour is generally regarded among scientists as conclusive, before turning to my main theme, which is the extent to which Muslim scholars anticipated key aspects of the modern theory. 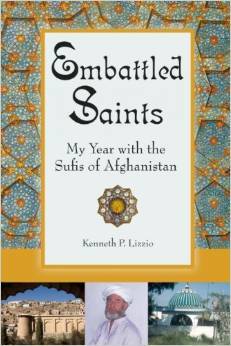 We are grateful to Paul S. Braterman for writing this article for the Muslim Heritage website. 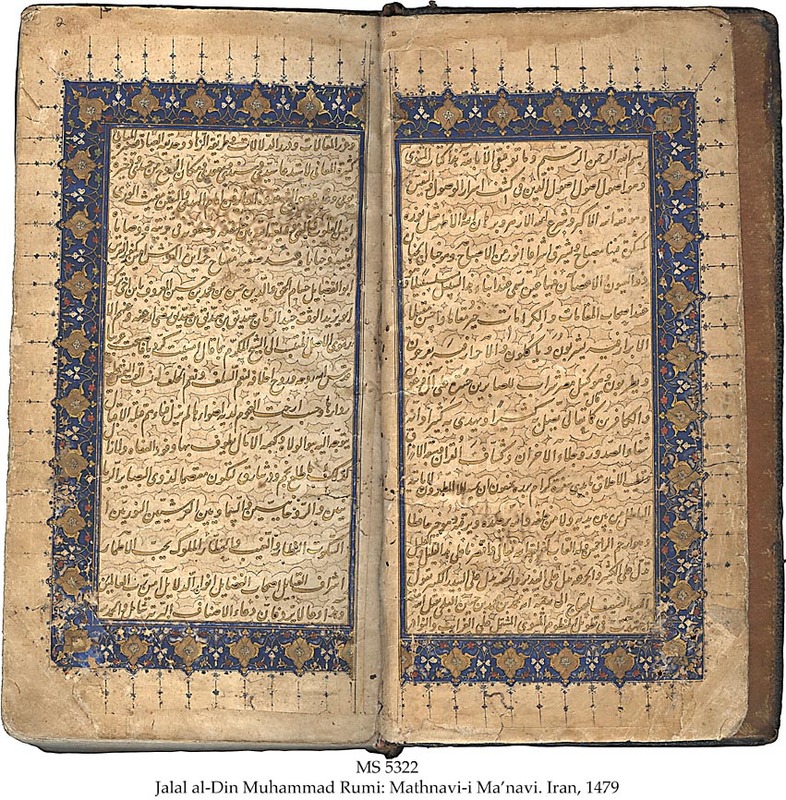 Images have been added by the Muslim Heritage team. 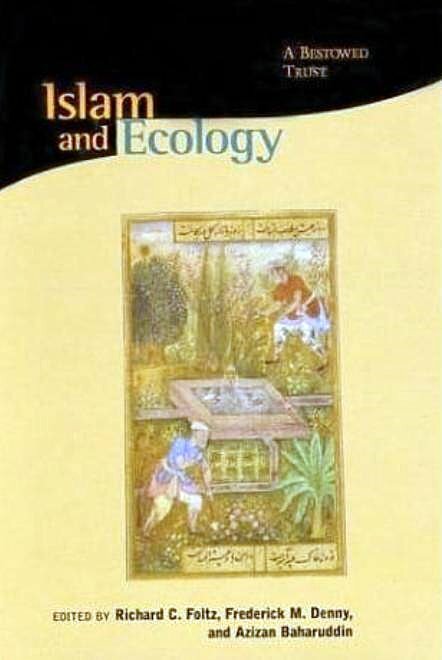 This article includes extensive content relating to the contribution of scholars from Muslim Civilisation to science; especially zoology, a subject of importance and much interest. We know what comes next, and they don’t. Bear that in mind whenever you see scholars commenting on the significance, in the context of today’s science, of thinkers who died centuries ago. To do them justice, we need to see the world through their eyes, not ours. But we too are people of our own time, and if we are looking for the origins of the concepts that concern us today, we would do well to start off by clarifying those concepts. And so, in this article, I will summarise the key elements of the modern science of evolution, and the reasons why the evidence in its favour is generally regarded among scientists as conclusive, before turning to my main theme, which is the extent to which Muslim scholars anticipated key aspects of the modern theory. But remember that the aim is to understand their thinking in the context of their own time, rather than in the light of later knowledge. I conclude that they made important contributions, and that one scholar (al Jahiz) even made the crucial step of realising that one species can evolve into another, and that what are now distinct species share a common ancestor. However, this is still a long way from recognising that such change is universal, or that even highly dissimilar species share a common ancestor, or that these facts are significant. 3) Some variants come to predominate, and sufficient variations lead to the formation of new species. Variations that increase fitness are more likely to be passed on, and those that reduce fitness are more likely to be bred out. This is what is called natural selection. Natural selection was central to evolutionary thinking for decades. However, the current view is that most variations are neutral, leading to a kind of random drift among possibilities. 4) Evolution is constrained by history. We have an extremely rich fossil record, showing how each group of living things has emerged by modification of its ancestors. In this way we can understand built-in design faults such as the tortuous paths of nerves and arteries, the persistence of vestigial features, including DNA that in some species has lost its function, and the widespread occurrence of exaptation, where an organ can be traced back to a precursor with a different function. This is all a bit different from what Darwin proposed over 150 years ago. Darwin had no idea of how new variants could arise, since he did not understand the principles of genetic inheritance, and the chemistry of his time was nowhere near ready to understand the storage of information at the molecular level, as happens in DNA. Darwin’s family relationships were based on anatomical resemblance, and he could not even have imagined how these would be confirmed and refined by molecular level comparisons. Today, only two groups of people use the term “Darwinism”. On the one hand, we have historians of science who are referring, correctly, to an earlier phase of evolution science. On the other, we have evolution deniers, who want to trivialize that science by associating it with a single individual and reviving objections long since refuted. How good is the evidence for evolution? Overwhelming. A brief summary can be found at “29+ Evidences for Macroevolution”. Evidence comes from family relationships, the fossil record, anatomical homologies (e.g. the common structural features of the human hand, a whale’s flipper skeleton, and a bat’s wing), vestigial organs, the distribution of living things through space and time, actual observations of evolution in progress, the development within the past three decades of family trees based on molecular biology, and the fact that these family trees correspond in great detail to those already inferred in other ways. I should mention that there is also a cottage industry of anti-evolutionists devoted to raising objections, and that an exhaustive (and exhausting) index of these objections and their refutations can be found on the talkorigins.org website. How compatible is evolution science with Islam? It is not my place to discuss this. 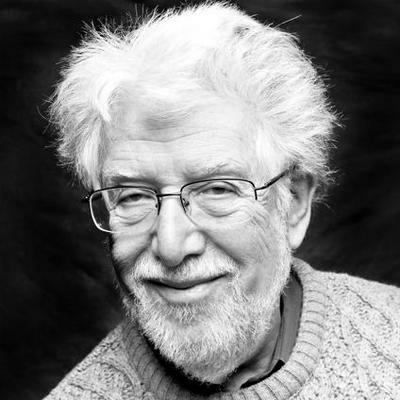 I will merely point out that debate between those who accept and those who reject evolution can be found within all the Abrahamic religions, with discussion hingeing on the ways in which the ancient sacred text should be interpreted by a modern reader (Marwa Elshakry, of Columbia University History Department gives a scholarly account). There are those who protect traditional interpretations by rejecting evolution, but such rejection carries a high cost since it creates a conflict between faith and worldly knowledge. And there are those who attempt to evade this conflict by denying the plain scientific facts; here the cost is even higher. There was a recent vigorous discussion of these topics organized by the Deen Institute, and the scientific academies of Bangladesh, Egypt, Indonesia, Morocco, Pakistan, Palestine, Turkey and Uzbekistan have joined others worldwide in affirming evolution. al-Ghazali, I believe, would have approved. The “old argument” from the design of individual organisms is bypassed by modern knowledge, but the more general argument from the overall design of creation retains its power. After this long preamble, we can proceed to our main theme, the extent to which the ideas lying behind the modern science of evolution were anticipated by Islamic World scholars. Here we need to content with two different kinds of distortion. 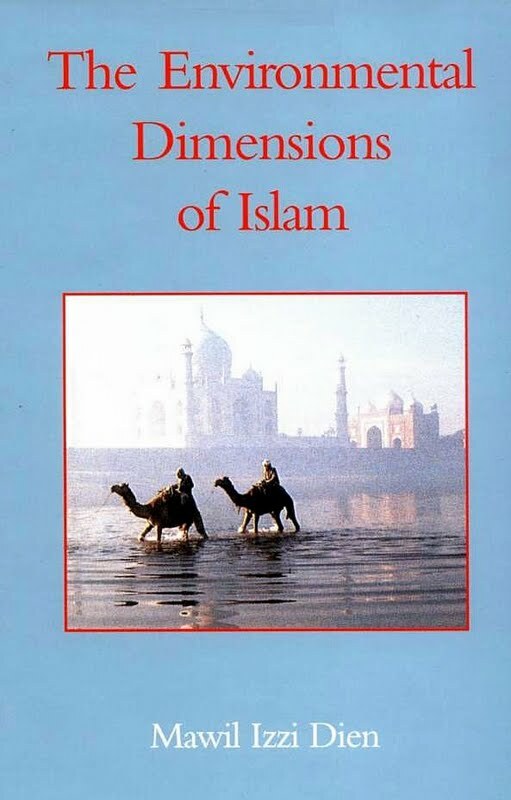 There is, or was until recently, a deplorable tendency in mainstream Western discussions of the history of ideas to downplay the enormous Islamic World contribution, and regard it merely as a pathway by which ancient learning re-entered late mediaeval Europe; I have criticised this arrogant and insular view elsewhere. But there is also the opposite tendency, an understandable but unhistorical boosterism which sees far more in these classical writings than is in fact there. It also must be said that a great deal of the boosterist literature is of low quality, relying on unexamined third hand accounts. There is clearly room here for careful scholarship by someone who is familiar with both the content and history of the relevant science, and the classical Islamic literature in question, but such people must be very hard to find. The most I can do, therefore, is to bring my knowledge of the science to bear, while referring back at each step to the most reliable translations I was able to find of the original texts. Aristotle had both supporters and detractors among Islamic scholars, but all were powerfully influenced by his ideas. One of these was that the Earth was infinitely old, a belief clearly incompatible with the idea of creation, as it occurs in all the Abrahamic religions. But if it is not infinitely old, how old is it? The Genesis account of creation would if taken at face value imply a young Earth, with a current age of some 6,000 years, in direct conflict with geological studies that implied an age first in many millions, and now in billions, of years. Both Christian and Jewish scholars have for many centuries rejected such narrow literalism. For example, in the 12th C CE Maimonides sought compromise with Aristotle by suggesting that the Days of Genesis reflected indefinitely long periods of time. But this does not qualify as a scientific argument, since Maimonides invoked no observational evidence. A young Earth has never been part of Islamic teaching. 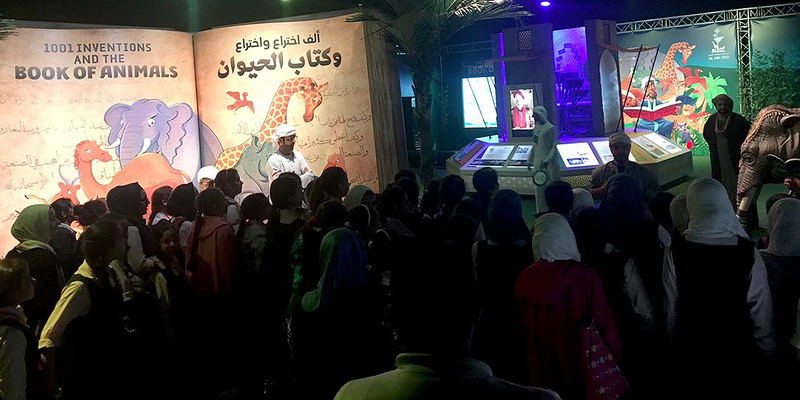 However, the deplorable Adnan Oktar (“Harun Yahya”) has popularised Young Earth creationism in the Muslim world, hence the need to discuss the matter here. Moreover, it gives me the opportunity to highlight some of the intellectual achievements of two of the most eminent scholars of the Islamic Golden Age, al-Biruni and Ibn Sina, both of whom correctly inferred the antiquity of the Earth from geological arguments. 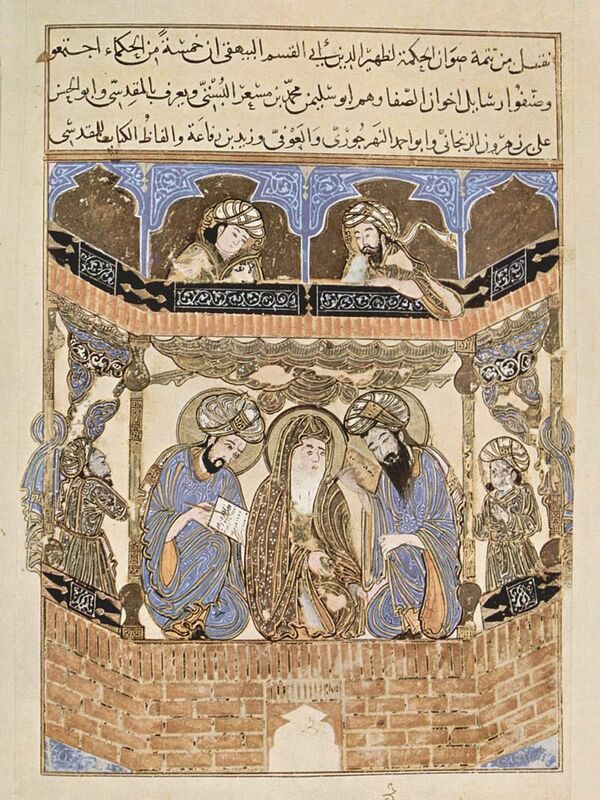 Ibn Sina’s work was well known in late mediaeval Europe, and is even mentioned by Chaucer. The material we consider here was translated into Latin as early as around 1200 C.E. by Alfred of Sareshel, who attributed it to Aristotle himself. Alfred was, of course, mistaken, but Ibn Sina does clearly belong to the Aristotelian tradition within classical Islamic thought. Thus he accepted the idea that one substance could change into another, and the idea of petrifying fluids (Aristotle had spoken of petrifying vapours) that could transform objects, and especially water, into stone. We should not dismiss this last idea as absurd, in the context of its time, given what can be observed in limestone caves with their stalagmites and stalactites, the petrifying effect of mineral springs, and observed volcanic exhalations. All of this must be borne in mind when considering Ibn Sina’s most relevant contribution to our theme, his discussion of earth science in his Kitab al-Shifa (Book of Healing). So fossils are what they appear to be; the remains of living things that have been petrified by mineralising influences, and the formation of fossils from organic remains is a similar phenomenon to the formation of rocks from water, which he regarded as an established process. Ibn Sina, following Aristotle and even earlier thinkers, speculated that what is now habitable land was formerly beneath the sea. This explains the fact that “in many [terrestrial] stones, when they are broken, are found parts of aquatic animals, such as shells, etc.” Leonardo da Vinci was to come to the same conclusion centuries later, in Renaissance Europe, but while Ibn Sina published his results freely, Leonardo thought it prudent to keep it to himself, and his work on this did not come to light until the nineteenth century. If I understand this correctly, he is observing the separate strata of sedimentary rock, and interpreting these as representing the effects of multiple maritime incursions, each such incursion leaving a separate layer behind it. 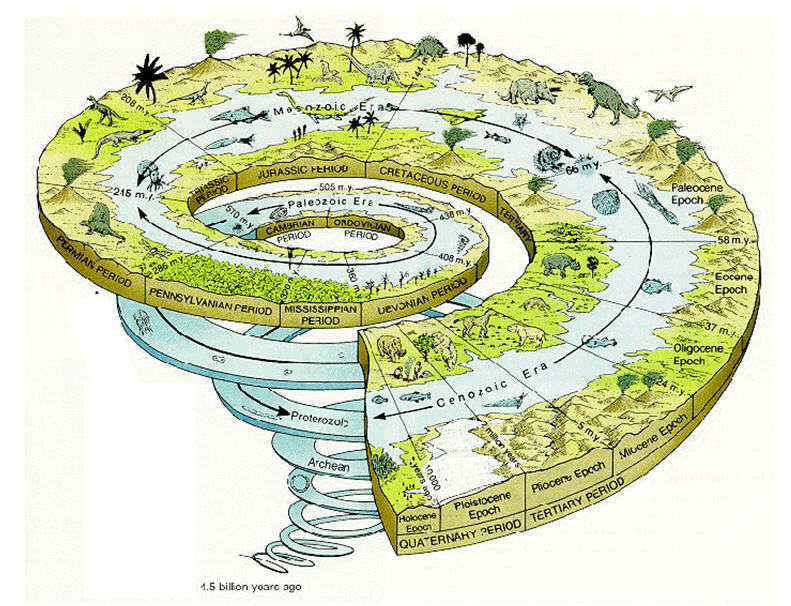 From our own perspective, his mechanism is unnecessarily complicated, but he has understood the central principle that successive strata represent successive episodes, implying deep time. As I said earlier, the idea that what is now land was formerly beneath the sea was already present in Aristotle. But Aristotle regarded this as a consequence of the antiquity of the Earth, whereas Ibn Sina, using a more modern style of reasoning, is reversing the argument; the evidence shows that what is now land was once beneath the sea, and this is evidence that the Earth is, indeed, old. Elsewhere in the same chapter, Ibn Sina relates valleys to erosion, and suggests that the mountains have been raised up by earthquakes. We could, with a little imagination, see this as anticipating modern ideas of plate tectonics, but that is not the point. The point is that Ibn Sina is appealing to natural, historical, causes. That in this case the suggested cause does relate to modern thinking is an accidental bonus. Notice the wealth of inference and observation expressed here. The stones are rounded, from having be rolled around by the currents. Near their source, rivers flow more violently and can carry larger boulders. Flow rate, and pebble size, both decrease downstream, until eventually the rivers can only transport the sandy ground-up residues. And this process of deposition must have taken considerable time. This is not science; Rumi is sharing, so far as words can, his mystic insight into the unity of creation, and goes on to speak of losing his individual existence in the imperishable Divine. But nonetheless, Rumi’s words may help us accept the unity of all things, and the idea that (subject, for the believer, to the will of their Creator) they follow the same laws. 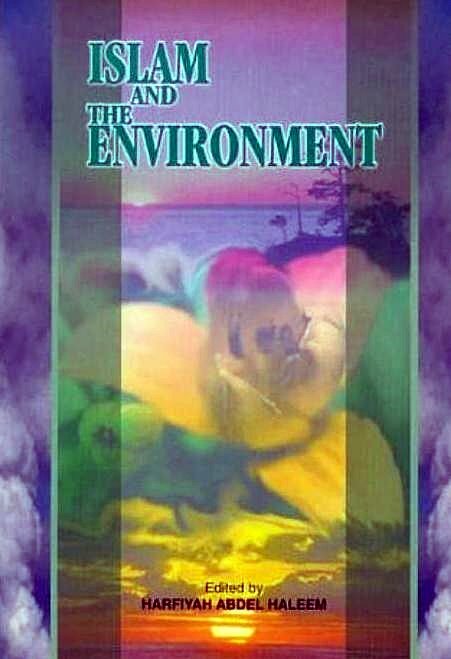 [These books] state that God first created matter and invested it with energy for development. Matter, therefore, adopted the form of vapour which assumed the shape of water in due time. 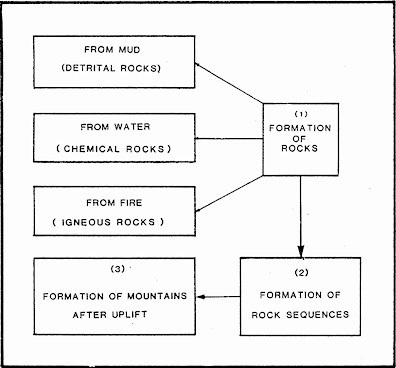 The next stage of development was mineral life. Different kinds of stones developed in course of time. Their highest form being mirjan (coral). It is a stone which has in it branches like those of a tree. After mineral life evolves vegetation. The evolution of vegetation culminates with a tree which bears the qualities of an animal. This is the date-palm. It has male and female genders. It does not wither if all its branches are chopped but it dies when the head is cut off. The date-palm is therefore considered the highest among the trees and resembles the lowest among animals. Then is born the lowest of animals. It evolves into an ape. It gives me no pleasure to point out that Hamidullah’s interpretation of Ibn Miskawayh is mistaken. 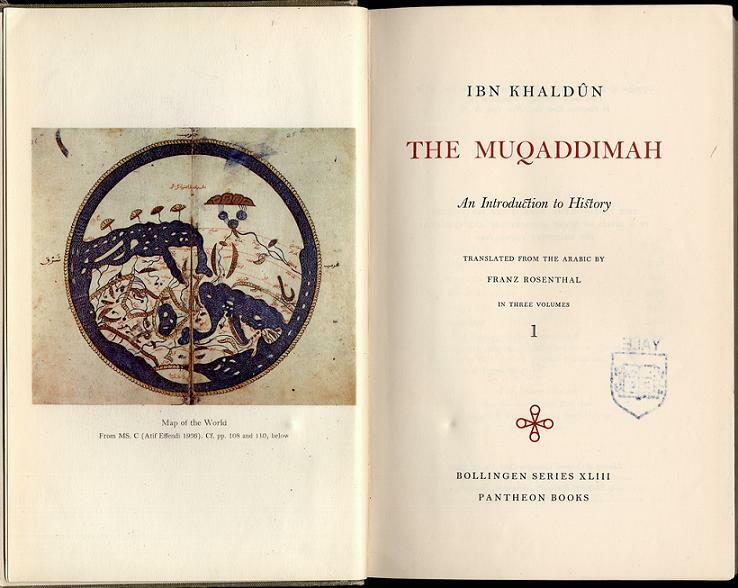 He, like Rumi, or Miskawayh, or much later Ibn Khaldun in a very similar passage in his 1377 Muqaddimah (Prologue) is not describing evolution, but rather something much more like the Aristotelian Great Chain of Being. The different stages represent successive acts of creation, or (especially towards the summit) stages of progression of the soul, but do not represent historical continuity and descent. I do not want to go into Aristotelian notions of causation, but the point here is the assumption that species are fixed. This clear statement has not prevented some authors from claiming that the Ikhwan al-Safa had anticipated modern ideas of evolution. There are two powerful motivations for such a claim. One is the wish to redress the belittling that until fairly recently Islamic scholarship has received in standard Western accounts of the history of science. This leads to the temptation to add to its very real achievements by finding insights that are not really there. The other one is to make evolution more palatable to Muslims, in order to counteract the malign influence of theological conservatives who claim that evolution is un-Islamic. We can sympathise with both these motivations, but they should not lead us to distort our reading of the actual historical record. 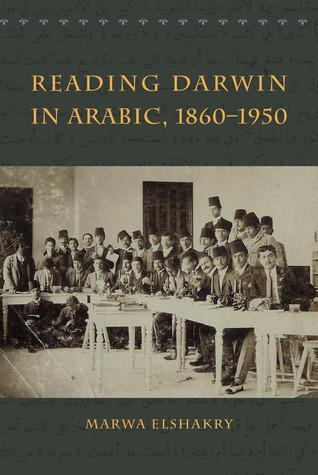 Some who should know better have gone so far as to suggest that Darwin studied Arabic at Cambridge, and was aware of Islamic thinking that foreshadowed evolution. Wishful thinking. Darwin gives a full account of his life in his very candid Autobiography (7), and lists many precursors to his thinking in his great book, On the Origin of Species. 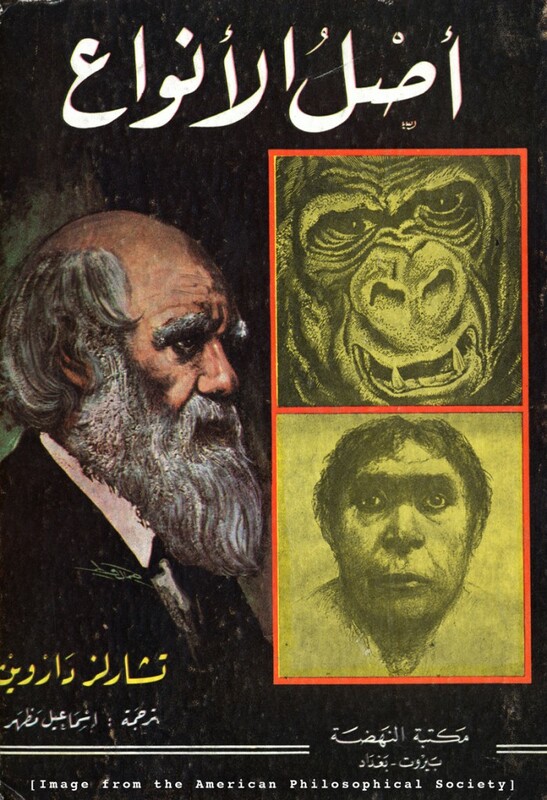 Most Englishmen of Darwin’s time would have been ignorant of classical Islamic scholarship, and there is no reason to believe that Darwin was an exception. 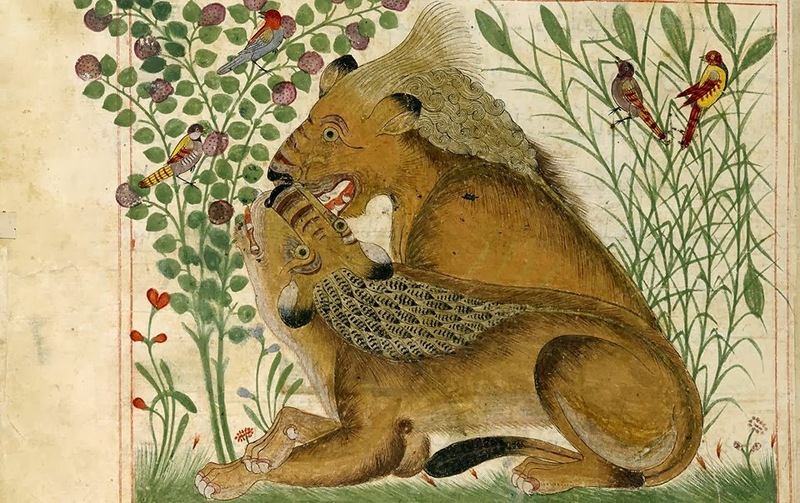 Nasir ad-Din Tusi; Darwinian or merely Aristotelian? Tusi [1201-1274 CE] was a great astronomer and mathematician, and a great survivor. 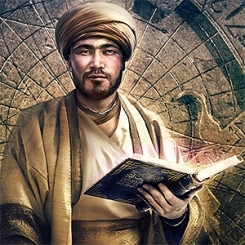 He survived being kidnapped by the Hashishin (Assassin) Shia sect, and subsequent capture by the invading Mongols, and even persuaded the Mongol commander Hulagu to build him a major observatory. Tusi pioneered the study of trigonometry for its own sake, rather than purely as an aid to astronomical calculations, but bridged the two disciplines, and his work on combining geometric figures provided Copernicus with valuable intellectual tools. It is widely claimed that Tusi anticipated Darwinian evolution. This is on the basis of a 2001 article in Azerbaijan Today, and echoed in Tusi’s Wikipedia entry. The article has him speaking of atoms and evolution, interprets his references to perfection in terms of evolution, and quotes him as saying among other things that the primarily entities “were equal and similar to each other. None of them had an advantage over the others, because all of these particles consisted of common primary matter.” The particles, it is claimed, correspond to what we would now call atoms or molecules. Darwin, of course, knew nothing about mutations, but the problems with this passage go deeper than that. Tusi is presented here as showing a sophisticated 20th-century perspective, according to which evolution selects, not only for favourable variations, but for variability itself. Nothing here that corresponds to modern concepts of evolution. There is no mention of particles. We have met the idea of the mutability of substances before, in Ibn Sina’s acceptance of the idea that waters can petrify. It derives from Aristotle, rather than from the atomists, as does the concept of Vegetative Soul. The idea of nobility reminds me of the concept of “noble” metals, towards which “base” metals aspire. Instead of the ability to gain new features, we have receptivity of forms. The ennoblement described sounds like the kind of development suggested by Aristotle, with metals being “submissive to the reception of forms” by hammering or stamping, rather than development through biological evolution. I wrote to the author of the Azerbaijan Today article in the summer of 2016, but have not received a reply. Here we can see an anticipation of Thomas Malthus’ famous argument, which so impressed both Alfred Russel Wallace and Charles Darwin, that populations would increase until constrained by lack of resources. 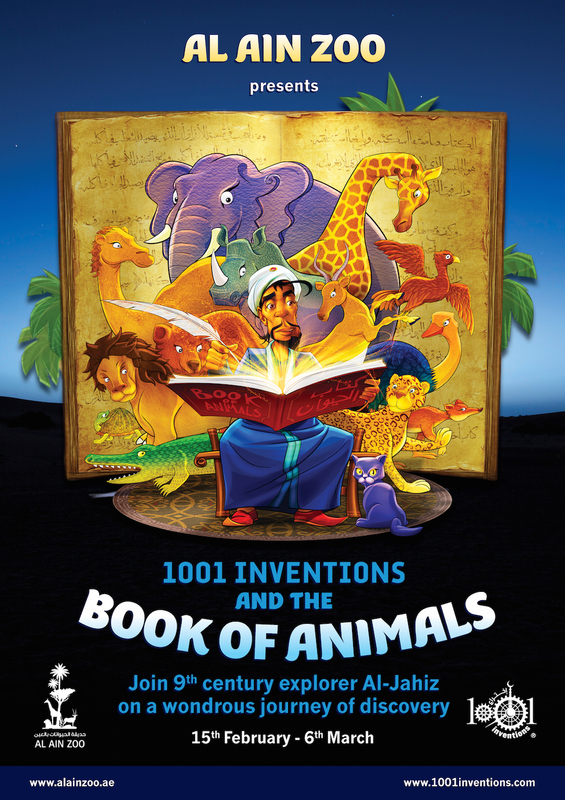 al-Jahiz is the only example I can find of an Islamic thinker who clearly anticipated the idea of the common descent of what are now distinct species. Considerably earlier (~776-869 CE) than the other thinkers discussed here, I also find him one of the most congenial, both for his attention to facts rather than dogma, and his verbal skill and wit. This shines through the two separate layers of translation (classical Arabic to French; French to English) in what I have used as my main primary source, Charles Pellat tr. D.M. Hawke, University of California Press, 1969, The Life and Works of Jahiz. 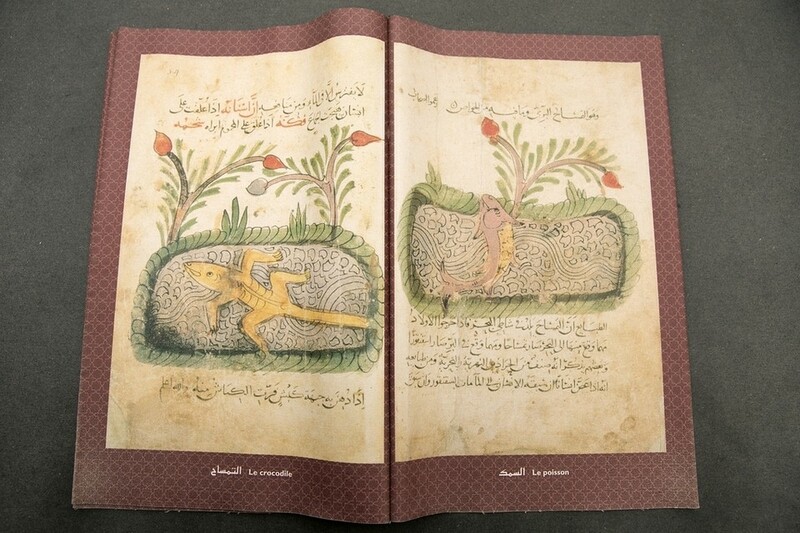 His most important work from the present point of view, Book of the Living (Kitab al-Hayawan) is unavailable in English, and although Pellat, through Hawke, gives extensive extracts, Pellat was not a naturalist and I fear this may be apparent in his choice of selections. al-Jahiz lived in turbulent times, as do we, and hoped his Book of the Living would help avert catastrophe by encouraging reasoned discourse; I share his motivation, if not, alas, his skill. A few quotations might give some of the flavour of his writing. This from Book of the Living, I:173, “I have always found that the most vicious and depraved of theologians are those who accuse their adversaries of impiety.” And later (V:328) he denounces “deference to great men, imitation of one’s ancestors, attachment to the traditional religion and the habit of clinging to that which is familiar”. 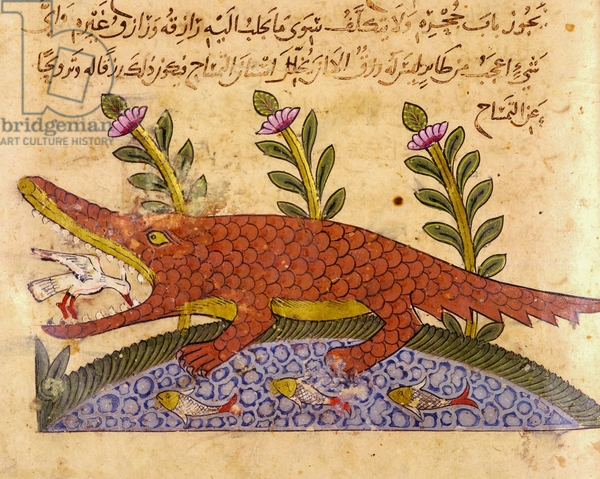 And while his work certainly owes a great deal to Aristotle’s earlier compilation, he criticizes him (VI:16) for claiming that whenever fish eat, they swallow water at the same time, because of their voraciousness and the shape of their mouths. He quotes with approval a sailor who answered “only someone who has been a fish or has been told by a fish can know for certain”. He expands on Aristotle’s catalogue of land animals, which he regards as expressing God’s design, and discusses how they are suited their environments. This in itself, of course, tells us nothing about the process by which they came into being. However, there is one passage in which he notes the similarities between wolves, dogs, and foxes, and explains this in terms of a common ancestor. Thus he accepted, at least to some degree, the central idea of the mutability of species. Since he also talks about the fitness of animals to their environment, it would be tempting to see this as prefiguring evolution by natural selection. I think this would be a mistake. Although this passage seems important to us from our perspective, he did not dwell on the topic, and implications that seem obvious to us would not necessarily have occurred to a pioneer naturalist writing over 1200 years ago. Nor should we expect that much of him. We know what comes next in the history of ideas. He doesn’t. Ibn Sina and al-Biruni in their different ways correctly interpreted alluvial soils as sediments, and inferred the antiquity of the Earth. 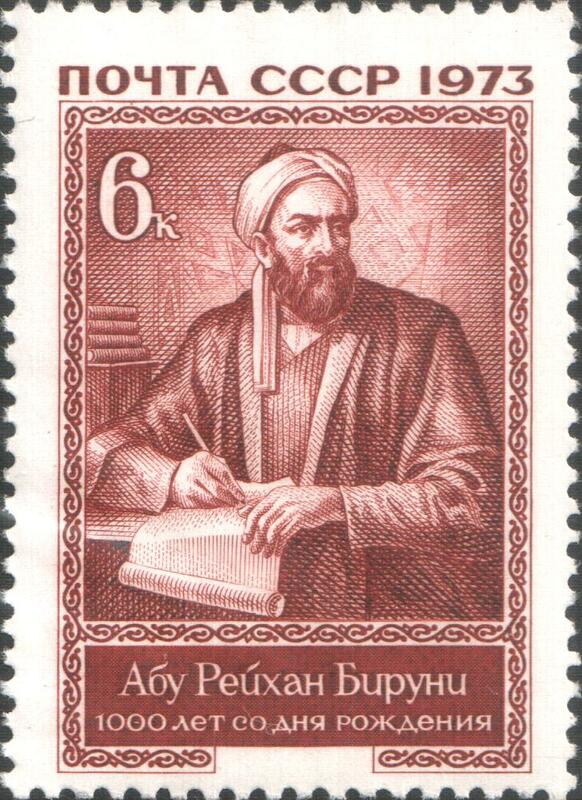 In addition, al-Biruni came close to describing the principle of natural selection, although he sees it as preventing, rather than promoting, change. Ibn Sina correctly identified fossil shells as petrified residues, and inferred that what is now land had once been beneath the sea. 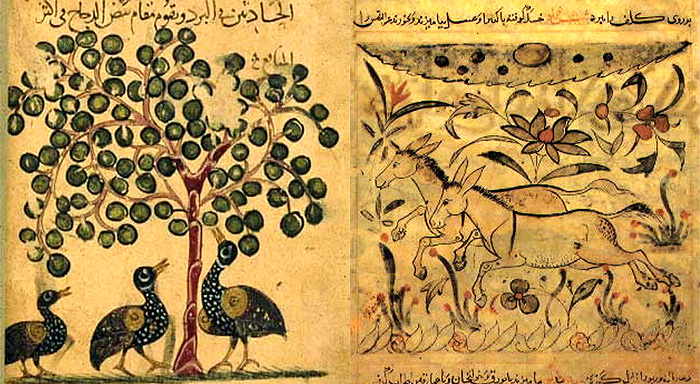 al-Jahiz elaborated on Aristotle’s study of animals, and at one point clearly describes distinct species as having had a common ancestor. All of these can be regarded as anticipating parts of our present thinking about historical geology and biological evolution. 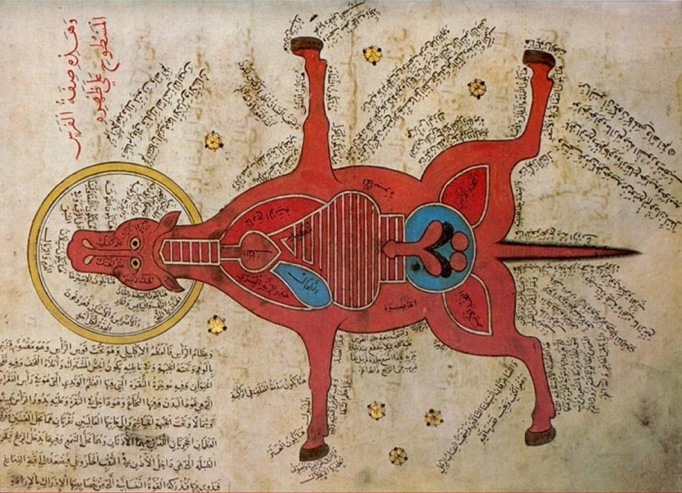 In addition, numerous Islamic thinkers described an order of things based on an Aritotelian Great Chain of Being, from mineral to plant to animal to human to angelic. However, this does not imply evolution, in the modern sense of generational change over time. Some discussions impose unwarranted interpretations on ambiguous texts. 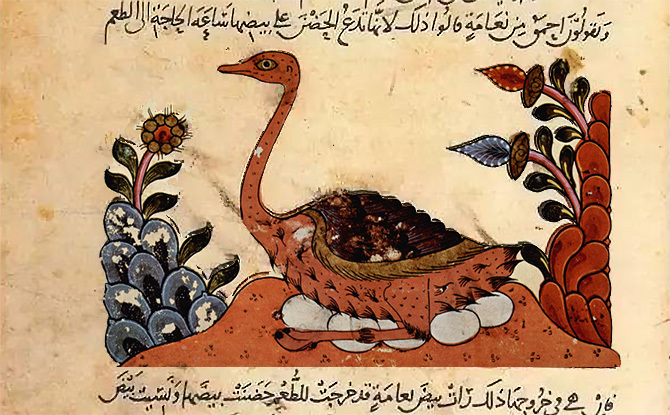 For example, one source, the Epistles of Ikhwan al-Safa (~1,000 CE), is often cited as anticipating evolution, but plainly describes species as fixed. Nasir ad-Din Tusi [1201-1274 CE] is now much cited as having anticipated evolutionary principles, but this is unjustified back-projection onto what is an essentially Aristotelian view of the transformations of matter. 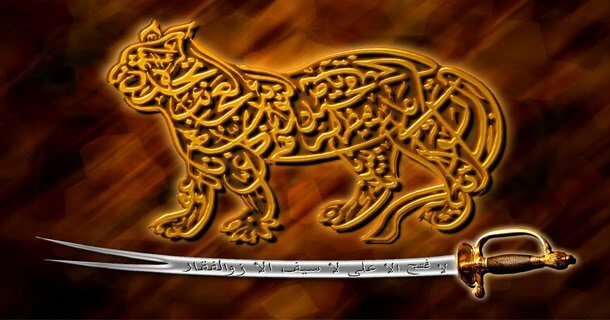 The only Muslim thinker that I can find plainly anticipating the mutability of species is al Jahiz [~776-869 CE], who regards species as responding to their environment, and correctly suggests a common ancestor for dogs, wolves, and foxes, but does this in a few lines out of his massive written output. An original and perceptive insight, but he himself does not seem to have regarded it as of great importance. We do, as we survey the history of thought, but that is only because we know what happens next. We should give credit to scholars of the past for what they achieved, and that is surely enough. To judge them by how far they agree with us, knowing what we now know and they could not, is unhistorical and, in its own way, patronizing. The responsibility for errors, however, is entirely my own. Next postWho were Samson and Delilah? Was Samson a prophet?